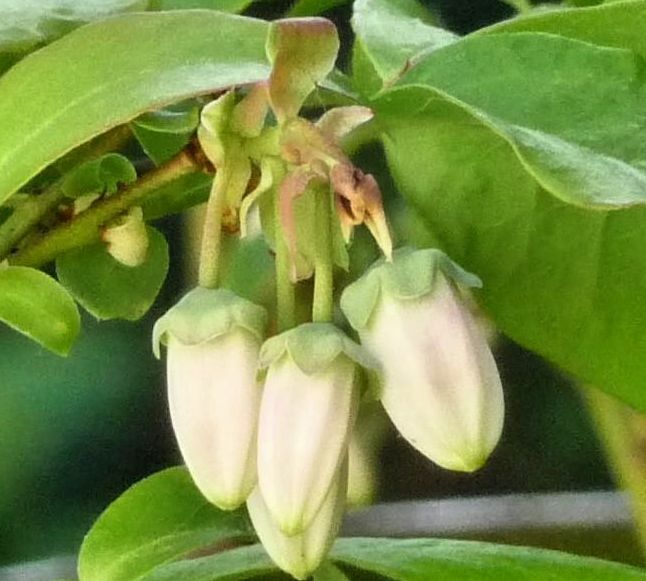 Tom’s Highbush Blueberry, planted in ericaceous (acid) soil, lives in a large ceramic pot near the house. It dislikes lime, preferring rain to tapwater. In dry spells it receives filtered water. 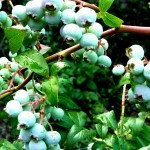 Birds are fed towards the back fence, and the Blueberry bush is left alone. PINK buds appear on the Blueberry bush in early February. In late spring WHITE flowers appear, with enthusiastic Bees pollinating them. A harvest of blueberries follows. July 2013: The bitter winter and wet spring meant that Bee numbers in the garden were down. 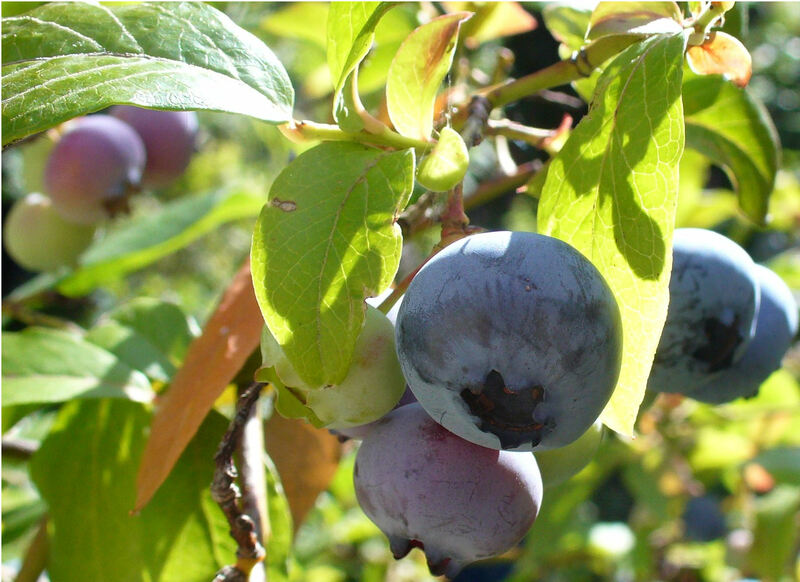 One of the earliest plants to emerge from the sleep of winter is the Blueberry, but there were no early Bees on hand to pollinate its flowers, and Blueberry numbers for the season were slow to recover. 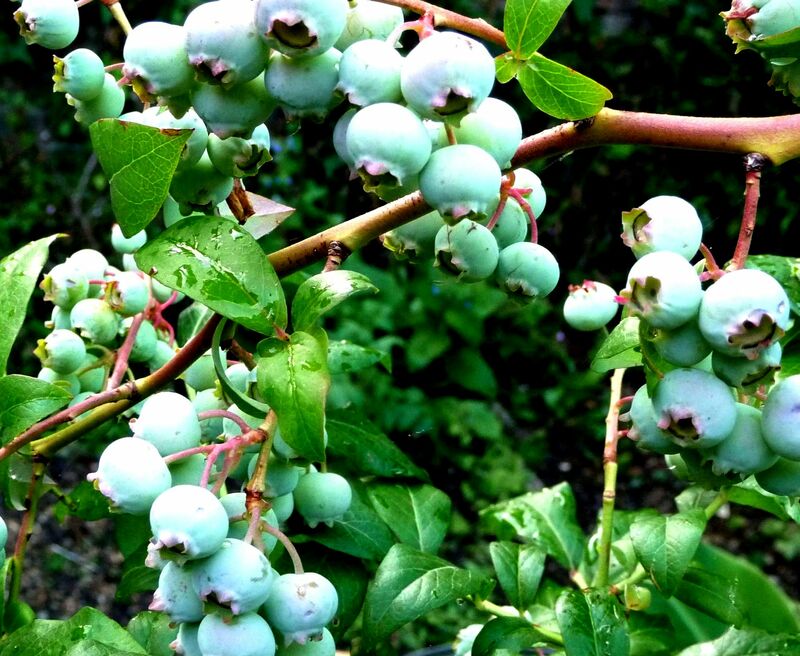 2014: Tom said the Blueberry crop was excellent this season. 2015: The Blueberries’ flavour was said to be even better this year, probably helped by an occasional mulch of Paul’s used coffee grounds. 2016. 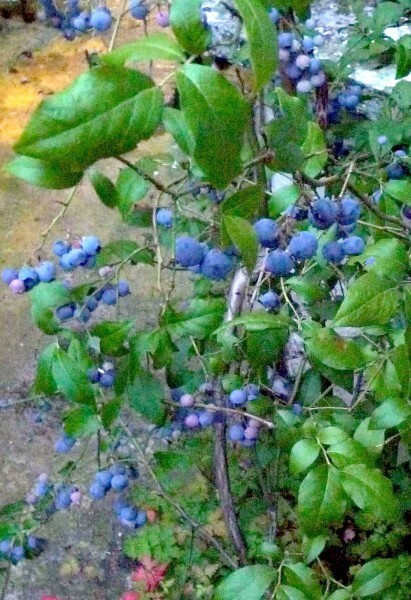 The Blueberry bush suffered from the long cold winter. And just when spring seemed to have arrived, it was winter again. “Everything is four weeks late”, they said at the garden centres. 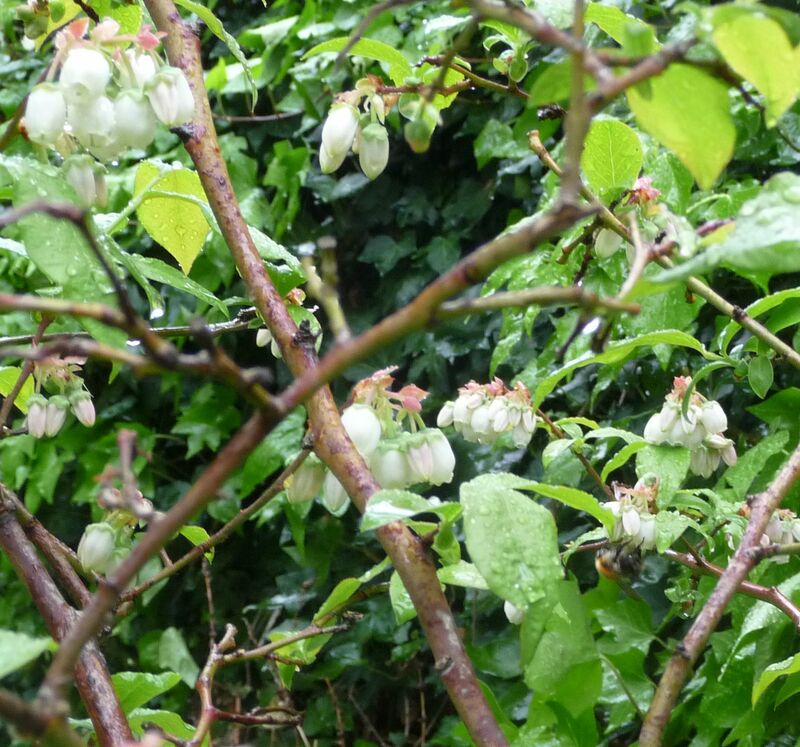 There were no early Bees; Blueberry flowers were left unpollinated. When the first Bees eventually reached our garden there would have been little in bloom for them. 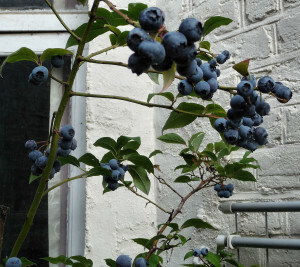 But spiders appear to have spun their webs on the Blueberry, so visiting Bees would have been trapped in their webs. A bad year and a poor crop. Hopefully not a harbinger of things to come. 2017. A poor year for the Blueberry. A long, cold winter & little pollination by early bees… A crop of few blueberries.